Guy's Auto Master Inc. can service and repair your Scion vehicle in St George, UT, 84790. 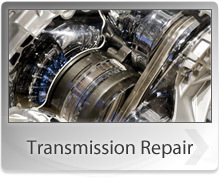 We are well trained and ready to handle any maintenance or service problem that crops up in your Scion vehicle. Our staff is dedicated to the Scion brand and they understand what it is all about. Guy's Auto Master Inc. is your one-stop shop for all your Scion maintenance and service needs. You can stop by to meet our trained Scion maintenance and service staff. The staff at Guy's Auto Master Inc. will work quickly to get your car back on the road. Our staff is waiting to service all your Scion needs, so give us a call at 435-627-9212. We're waiting to help.